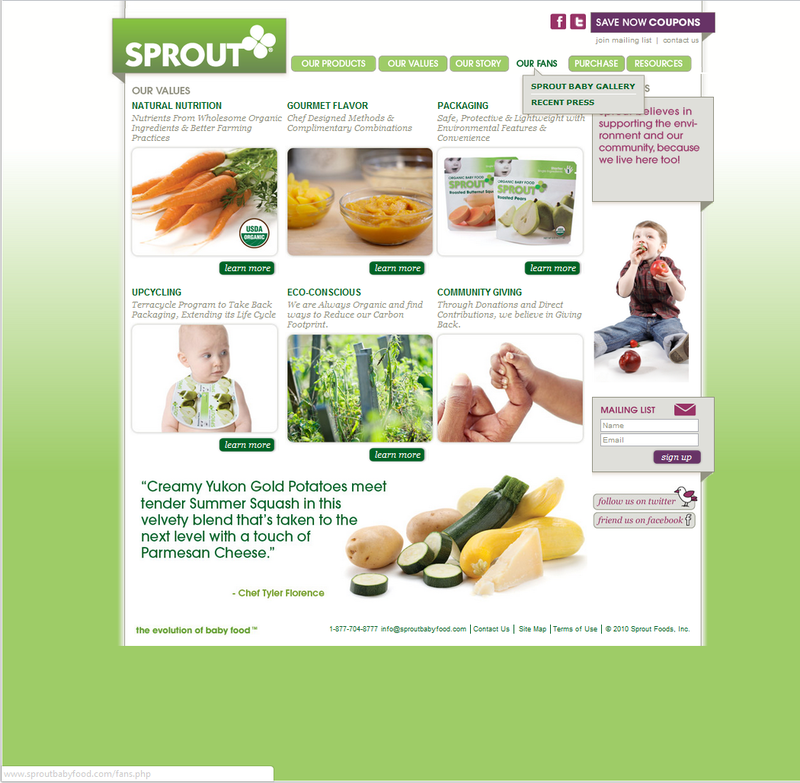 Sprout Organic Foods was founded in 2008 by a small group of like-minded friends, who wished to develop wholesome and organic baby food products that tasted like no others on the market. 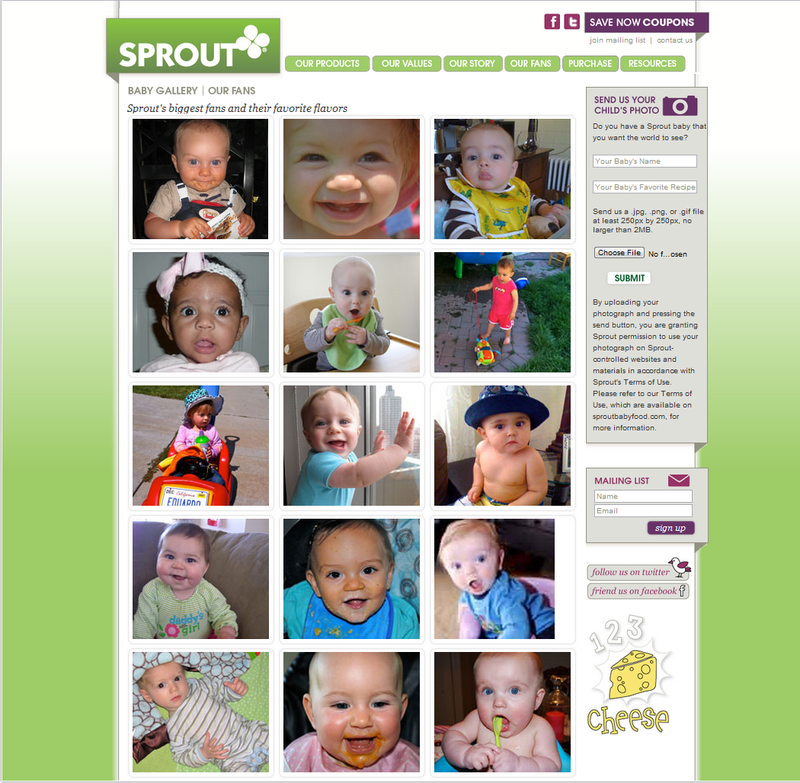 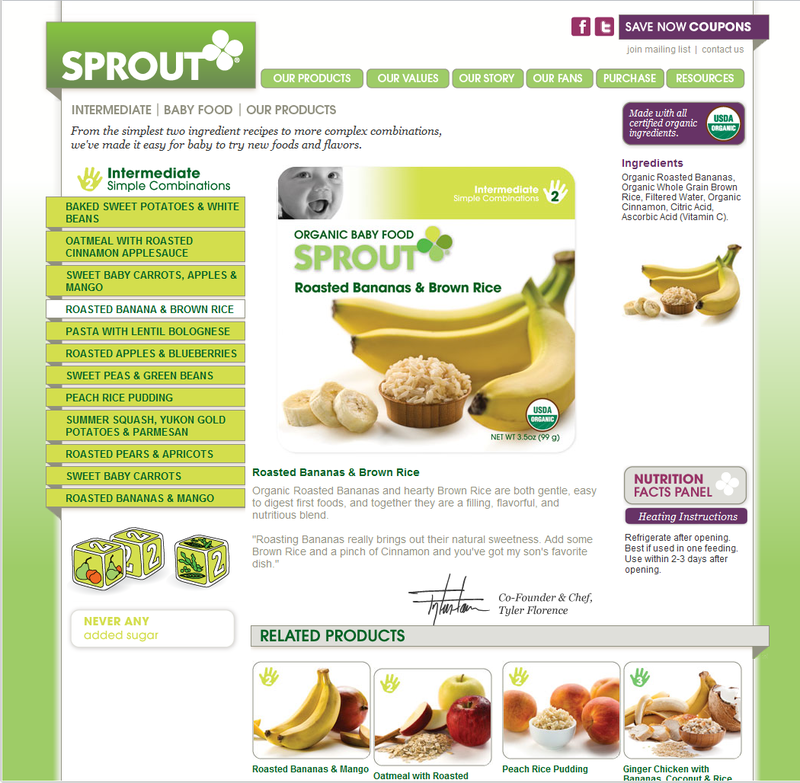 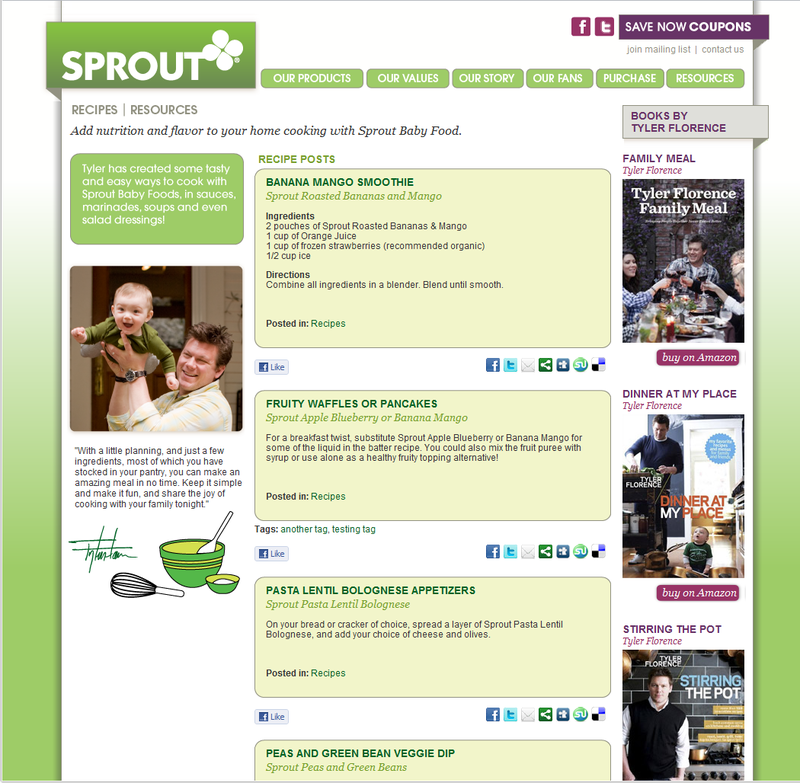 Sprout Baby Food needed to launch a new website and we were charged with implementing the design. 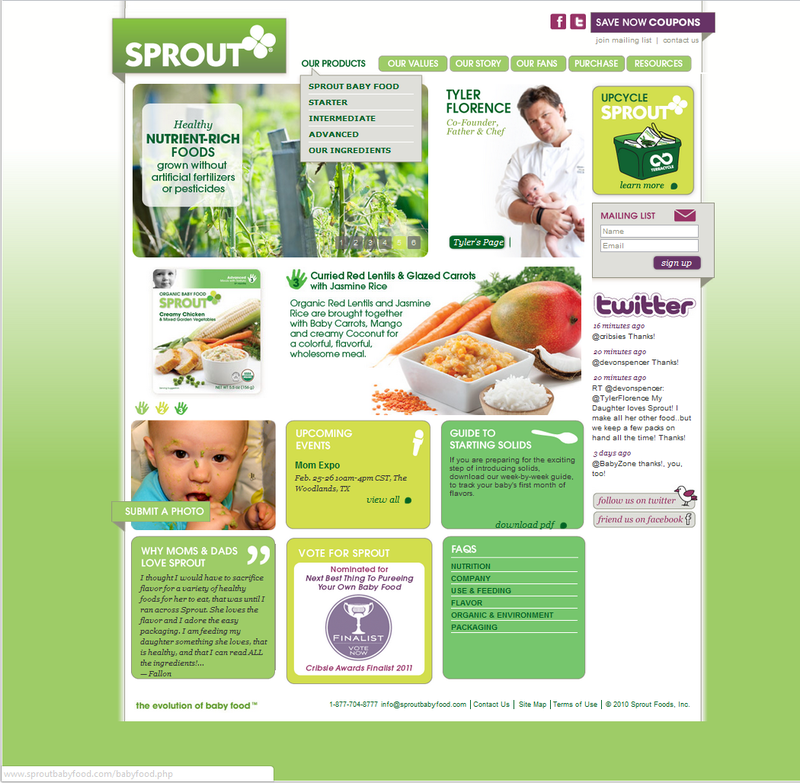 We handled the conversion of PSD to CSS/HTML and PHP. 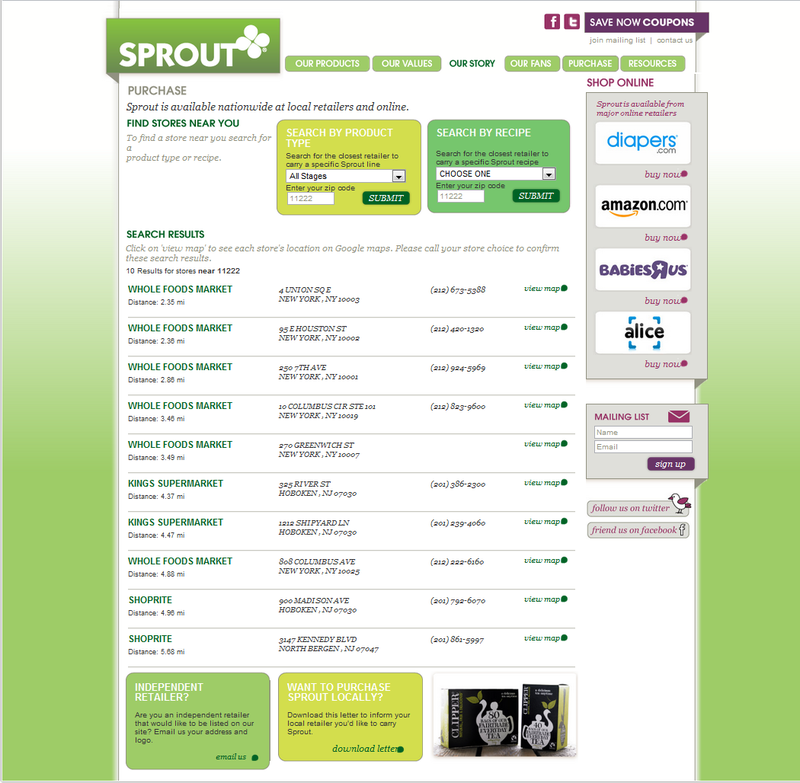 We created their "Find a Store" service along with a "Search By Recipe" function which lets customers find where to purchase their products.